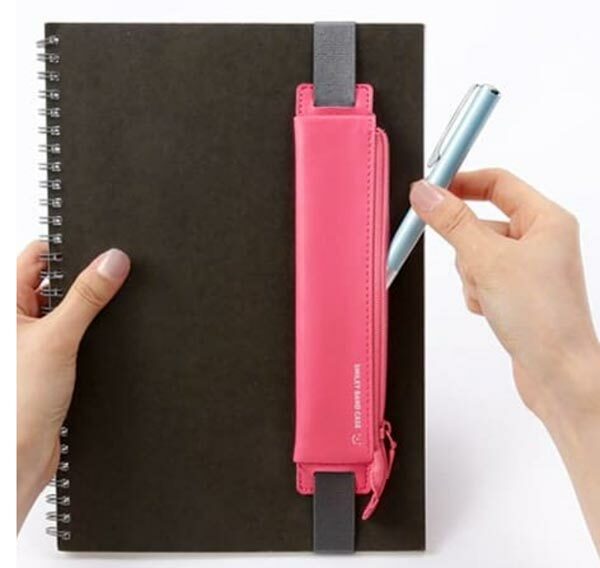 NEWS – Most pen cases that fit over a notebook seem to hold only one pen. That’s fine for some, but other folks may like to color-code entries and need a couple ink colors at hand. 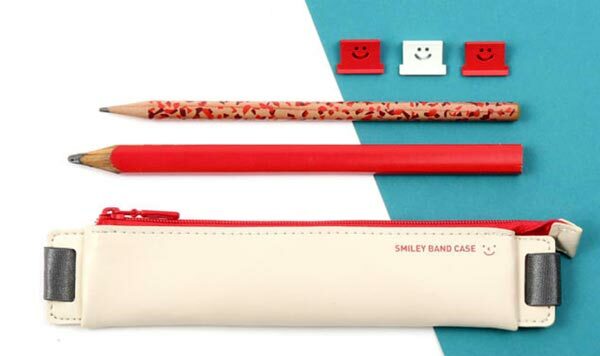 Instead of needing to buy multiple pen holders to carry those pens, get the Smiley Attachable Pen Case and keep everything in one case. 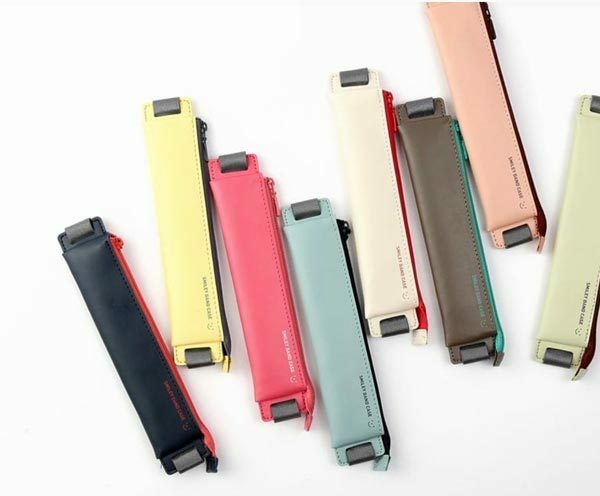 The Smiley case is made of synthetic leather. It’s attached to an elastic band that fits over a notebook or journal cover; it’s for use with hardcovers only. The height of the notebook should be between 7.75 – 10.25 inches for best fit. The case itself measures 1.5″ x 7.6″ x 0.33″ and weighs 0.8 ounce. It fits 3-4 pencils or pens. It is not designed for long writing implements; your pens should be no longer than 5.9″, so it unfortunately won’t work with the Apple Pencil. The Smiley Attachable Pen Case is available in the eight colors shown above. It is $11.01 at MochiThings.